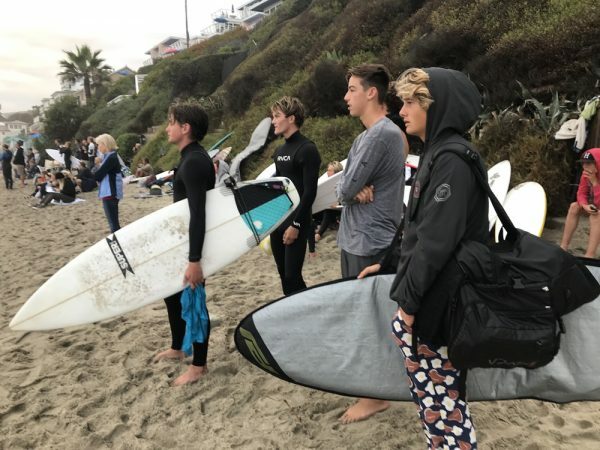 The Laguna Beach High School surf team came out of the gates firing against Newport Harbor High School for the league opener win. The Oct. 4 league event was held at ThaliaSt. beach and Laguna surfers led the way in several of the divisions. The conditions were a little tricky with some leftover south swell mixed in with a little wind swell and bump. The Laguna surfers made the most of their home break and put in some memorable performances with wins in nearly every heat. Sam Nelsen was the day’s top scorer with some very impressive surfing on several waves on both his backside and frontside with a 9 and a 6.5 on his two best rides. The morning kicked off with Joseph Schenk and Liam McCue going 1 and 2. Meanwhile, Travis Booth also had a strong showing with a 7 and 6.5 on his two scores and took a win along with Trey Lockhart. Jett North also surfed well, finishing in second in his heat. In longboard, Jameson Roller was the big heat winner. 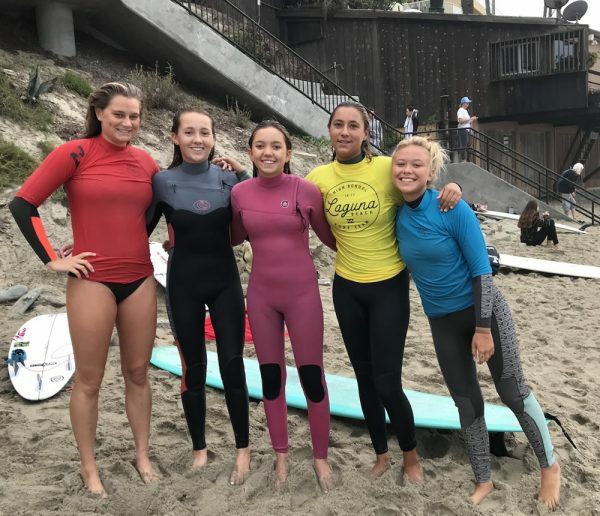 Laguna’s women’s surfers were as strong as they have been in the last few years, and dominated in shortboard with Tess Booth, Kalohe Danbara and Kelly Smith all securing some big scores and easily taking the top 3 spots. Laguna longboard surfers were also good with Claire Kelly and Tess Booth going 1 and 2. Last week, the team also had a big win over Aliso Niguel in a non-league event. The next League event was scheduled for Oct. 11 at Thalia against Dana Hills.